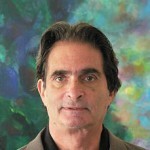 Jon Rappoport: FBI Whistleblowers Soon? The Anger Inside the FBI Over Comey’s Betrayal of His Oath is Palpable…. How much blood is boiling among FBI agents? Sharyl Attkisson, former CBS News investigative reporter, has the story (sharylattkisson.com): “Many people at the FBI are outraged, but cannot speak out,” one insider told me,” Attkisson writes. We’re talking about FBI Director James Comey’s recommendation that Hillary Clinton not be prosecuted in her email scandal. This, after thousands of hours of FBI work scouring the emails connected to Hillary’s illegal private server. Here are several other comments FBI professionals made, off the record, to Attkisson, with my remarks in parentheses (): Read full post.